Jan 28 Pertwee and Capaldi unite! I knew it! I said as much in this very blog! I knew it! 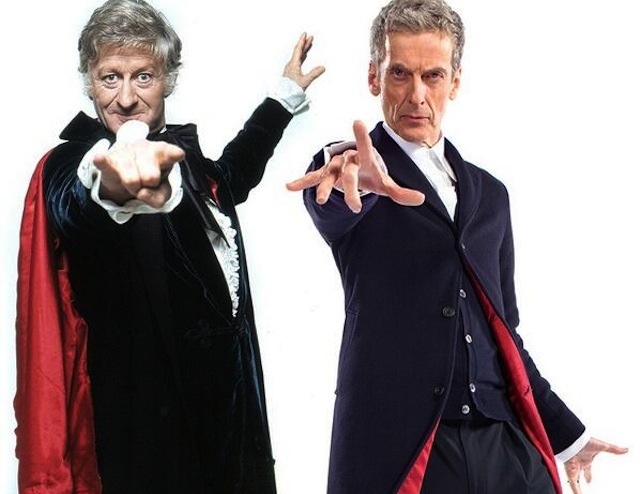 I knew Capaldi's 12th Doctor was going to be a throw back to Pertwee's 3rd Doctor! We have photographic proof! Jan 27 Visite des magasins de charité, pour mes cours.